I wonder how many people actually REALIZE that by their compliance AND consent that they are perpetuating their own enslavement? OK sure, this control system was applied by stealth. However, it is plain and simple to now see – in this INFORMATION AGE that ignorance is not bliss, and that it really is a choice. So many complain about how bad things are. The taxes, the poverty, the homelessness, the wars, the “terrorism”, the “economy”! I’ve come to realize that by participating in the system and by consenting to pay (unlawful) taxes, that WE are all responsible for this mess! Those still steeped in FEAR of “I have to” and “There’s nothing I can do about it” sadly do not have the courage to stand up and say what has to be said – “NO”!!! But we must stand together. 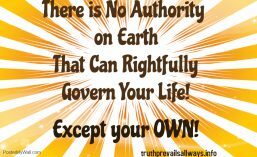 People inherently know this – yet, they are afraid to actually take back responsibility and self authority. It takes a special being to feel the FEAR and do it anyway. But remember. False Evidence Appearing Real is all it is. 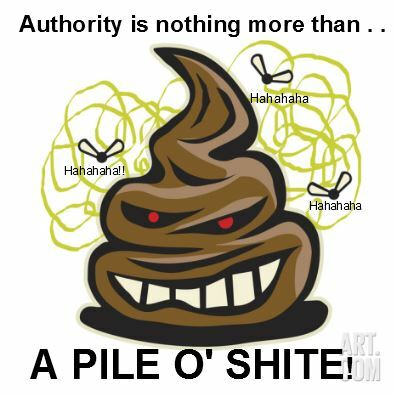 If a large number of all populations would simply STAND UP and say “NO” to outside authority, it (system authority) would crumble. It is only human energy that holds it up. Step away, let GO of supporting something that really does not exist unless you agree to it. Until enough people wake up to all of this, when we would all just stand up, say NO, and let their little game topple over, there is something that we can do – and that is to correct our status. Correct it from that of bonded surety, where we operate as a franchise in the bankrupt United States, (and all other so-called countries) into that of a living (wo)man, standing on the land with status, standing and capacity. kenneth scott, House of Cousens has spent his life learning about the true history of what happened, how we acquired the status of bonded surety to the franchise, and what we can do to correct our Status. You can find out more about this by visiting Gemstone University.